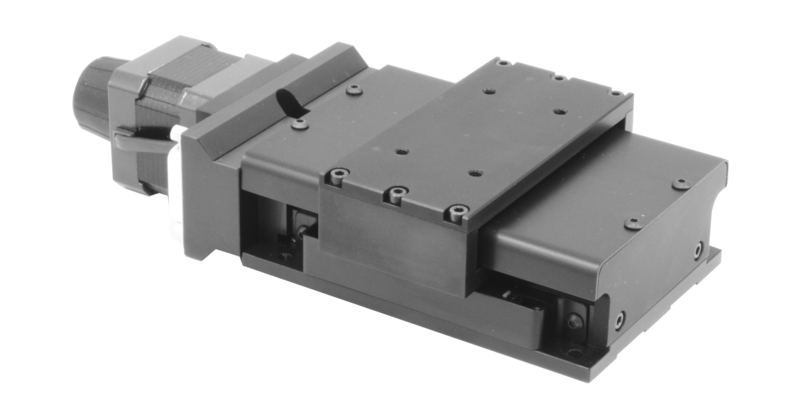 Based on the popular series 3000 linear positioning stage, the series 3500 is a compact design with miniature rail bearings, GO 1mm pitch ground ballscrew and is available with travels from 25 to 100mm. With a robust cover protecting the ballscrew and rail bearings, the series 3500 linear stage offers a stable and accurate solution to many positioning requirements. It is possible to specify either 17 frame size stepper motors or small servo motors with attached encoders, offering resolutions to 0.1µm or better. Integrated mechanical datum and limit switches are common to all models and connections are made by way of a 15Way D Type connector. You can open or download this page as a PDF file. MotionLink Ltd, Main Street, Chaddleworth, Berkshire RG20 7EH United Kingdom.